I had just walked out of a meeting on Sullivan St. in the west village when my stomach started to growl. 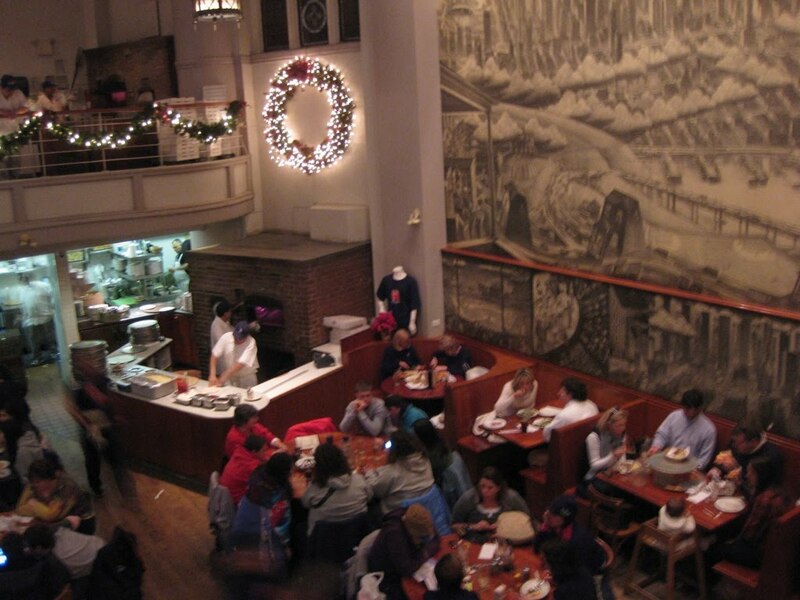 This really came as no surprise; while I had been jotting notes moments before, my attention was consumed by where I should go to satisfy my appetite as soon as I had the opportunity. My first inclination was to hit up Mamoun's Falafel, but my pizza conscience got the best of me when I realized how embarrassed I was that I hadn't had a legitimate pie from John's on Bleecker St.
Oh yes, the time had come. 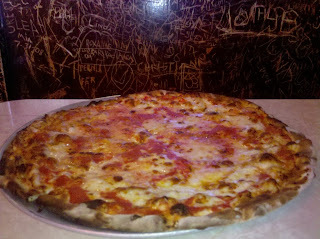 Just like it's classic New York-Neapolitan brethren, John's banner makes it plain and simple: "no slices." 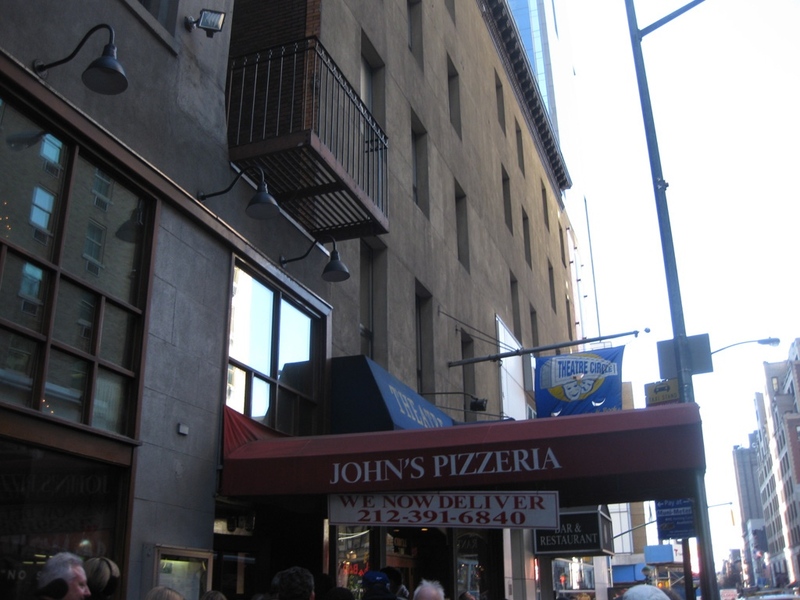 Let me step back for just a minute- John's, established in 1929 by John Sasso, is one of New York's (and the nation's) oldest pizzerias. 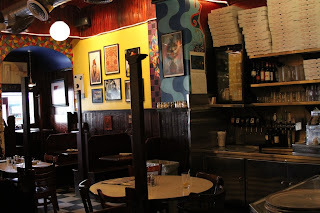 After having worked for and trained with America's first official pizzaiolo Gennaro Lombardi, Sasso split off and opened his own joint just as Anthony Pero had done five years earlier with Totonno's and Pasquale Lancieri would do four years later with Patsy's, making John one of our pizza forefathers. I know it's difficult to make out, but you can find John just above and to the right of America's pizza tree trunk, Gennaro Lombardi. The place is now owned by Bob Vittoria, a distant relative of John, though not through blood. 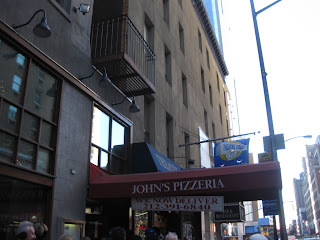 Again, just like Lombardi's, Totonno's, and Patsy's, John's rocks a behemoth coal-fired brick oven. 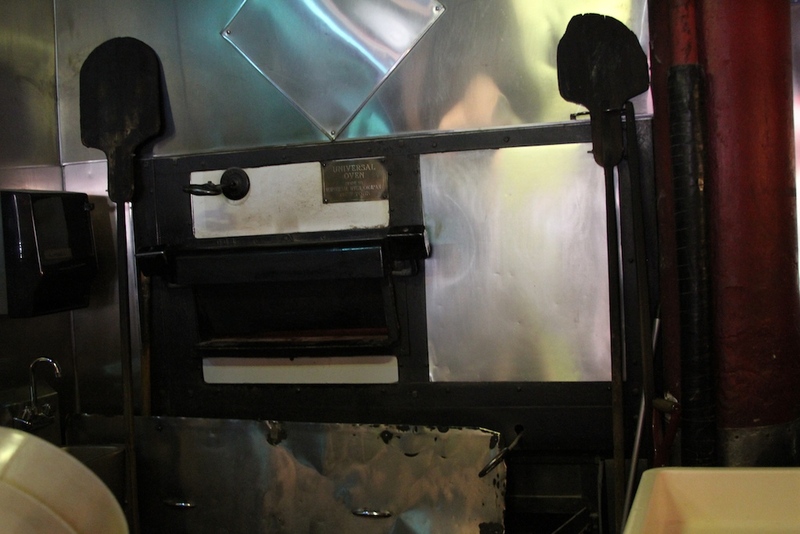 Ovens like these, seen also at Totonno's, show that the building space was not a bakery in a past life, but rather that this oven was custom built and installed to fit wherever there was room for it. 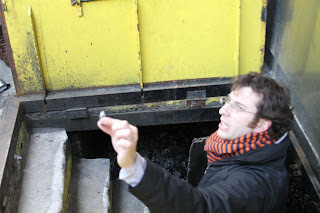 Here's Scott holding up a piece of anthracite coal in the walk-in entrance to John's cellar- look beyond him to see just how much they have stored down there. 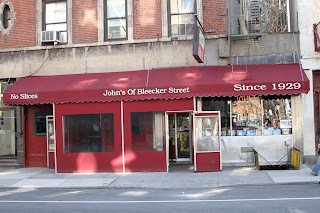 Scott has a theory that John's originally existed on the southwest corner of Houston St. and Macdougal St., John's place of residence, before moving to it's current location at 287 Bleecker St.
Back story and legacy aside, I knew I was staring at an instant classic the minute it was laid in front of me. 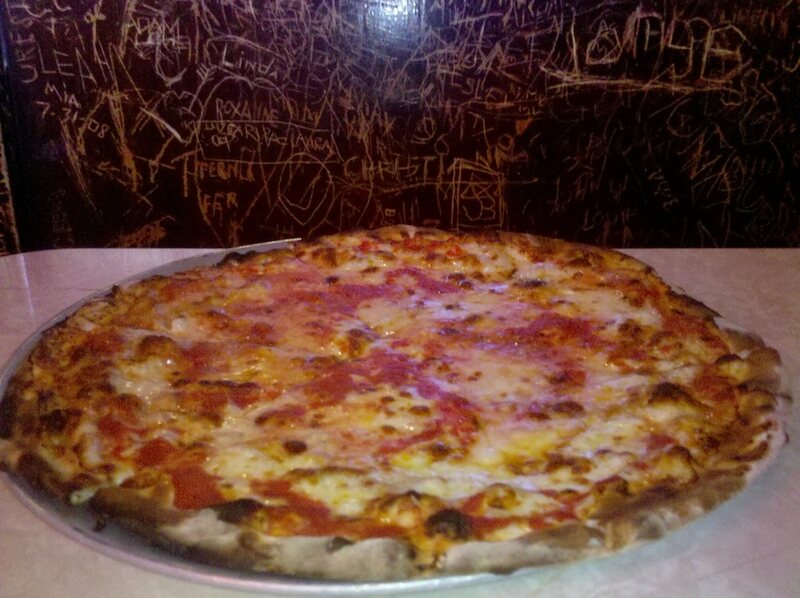 Don't let the infamous carved graffiti distract you, this pizza is a thing of beauty. The cheese is perfectly cooked on top of a sweet, tangy tomato sauce. 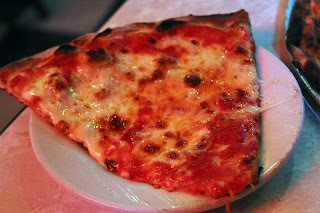 Unlike the splotches of fresh mozzarella seen on Lombardi's pizzas or the dollops of sauce on top of the cheese at Totonno's, John's pie has a consistent, more yellow layer of cheese on top similar to a typical New York slice. 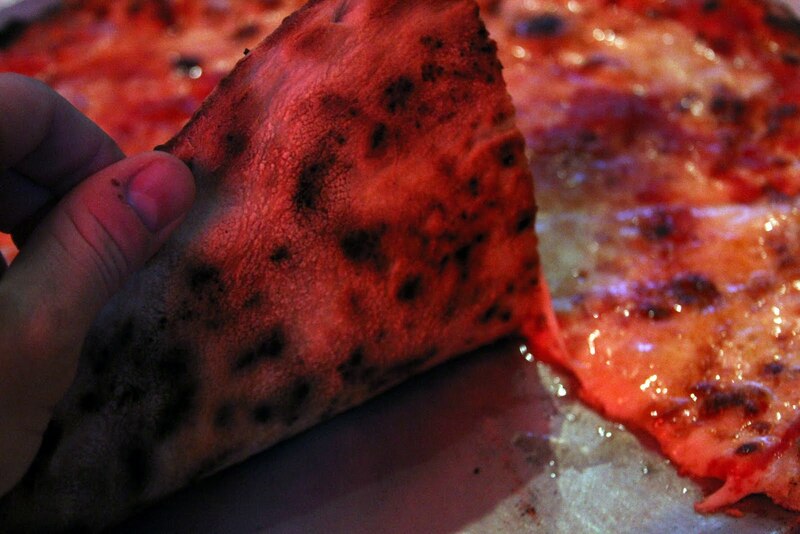 That being said, nothing else about this pizza is "typical;" it's delicious. Meanwhile in Midtown, a John's has opened in perhaps one of the most interesting spaces ever to house a pizzeria- an old church. 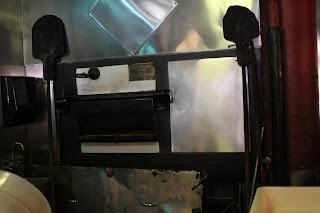 The Gospel Tabernacle Church was built in 1888 and where the pews once stood have been replaced by two coal ovens. While the experience is one-of-a-kind, don't be fooled: it's a tourist trap. The pizza is significantly different, and for a good reason- they're not affiliated with the original John's. The original is technically called "John's of Bleecker Street," while the knockoff just goes by "John's." How they're able to get away with the likeness is beyond me, but you know what they say: "imitation is the highest form of flattery."